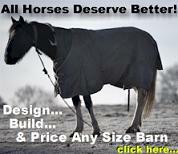 Finding a quality build and long lasting horse barn is a very important decision for any horse owner. For all equine enthusiasts, their most prized possession is their horses. Most horses spend the majority of their time grazing in the pasture or standing in a barn or outdoor shelter. At either location, they need reliable shelter. Many traditional barns have many qualities that could be hazardous to your horse, such as nails or wood splinters. 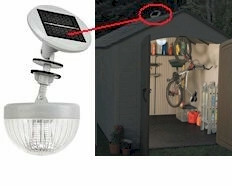 Metal barns are safe for even the most mischievous animals. The initial cost of a steel horse barn is well worth the return on your investment, as well as a healthy, safe environment for your family companion or equine business. Horses can be very destructive with their compulsive behavior of cribbing. This habit can be solved easily without the aid of expensive "chew stop" products or irritating cribbing collars. There is one simple solution, a galvanized steel metal barn. 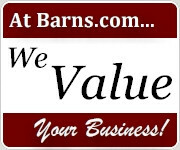 Barns.com offers many different styles of horse barns that can be customized to meet your specifications. Build your metal structure online.